A roundup of notable obituaries from the week ending Feb. 8. Albert Finney, 82, one of the most respected and versatile actors of his generation and the star of films as diverse as “Tom Jones” and “Skyfall,” died Thursday from a chest infection at the Royal Marsden Hospital in London, a cancer treatment center. From his early days as a strikingly handsome and magnetic screen presence to his closing acts as a brilliant character actor, Finney was a British treasure known for charismatic work on both stage and screen. He was a rare star who managed to avoid the Hollywood limelight despite more than five decades of worldwide fame. 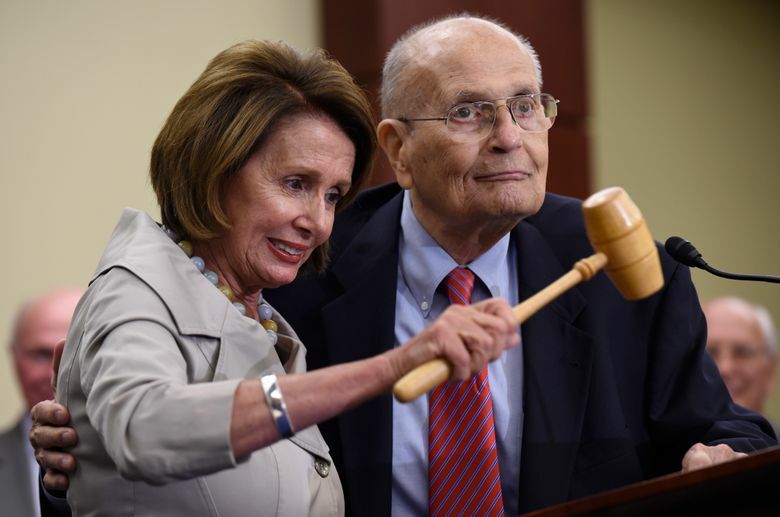 John David Dingell Jr., 92, the former U.S. Rep for Michigan, who was one of the U.S. House’s most powerful chairmen and helped write and pass some of the most consequential legislation in the nation’s history, died Thursday His death followed hospitalizations for various health problems in recent years. On Wednesday, sources close to his family said he had entered hospice with cancer. Dingell, a Democrat of Dearborn, will always be known first and foremost, however, for a remarkable legislative tenure that lasted 59 years — spanning all or part of 11 presidencies — during which time he cast tens of thousands of votes and helped write or otherwise played a role in passing the most significant measures of the era, including Medicare, the Civil Rights Act, the Clean Water and Clean Air acts, the Endangered Species Act and more. 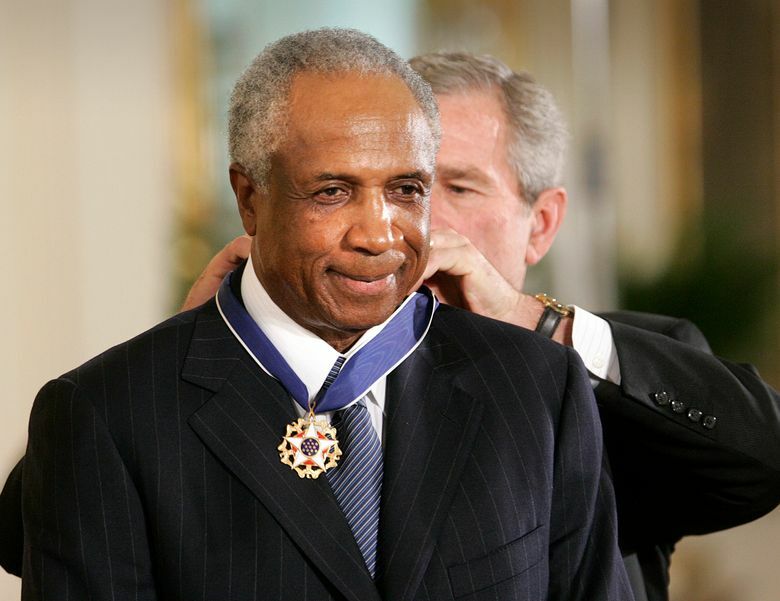 Frank Robinson, 83, a Hall of Fame outfielder, the only major-leaguer to be named most valuable player in both the National and American leagues, and the first African-American to manage in the big leagues, died Thursday He had been in failing health and in hospice care at his home in the Bel Air section of Los Angeles. Robinson rose from the sandlots of Oakland to become one of baseball’s most feared sluggers — his 586 home runs rank 10th on baseball’s all-time list. He left his most indelible mark as a player, a wiry, strong, 6-foot-1, 184-pound power hitter who had a .294 career batting average, a .389 on-base percentage and a .537 slugging percentage and was a 12-time All-Star. Robinson, who was inducted into baseball’s Hall of Fame in 1982, spent more than 60 years in baseball, 21 as a big league player from 1956 to 1976, 16 as a manager for four franchises, and more than a dozen in a variety of executive roles, most recently as a special adviser and honorary president of the American League. 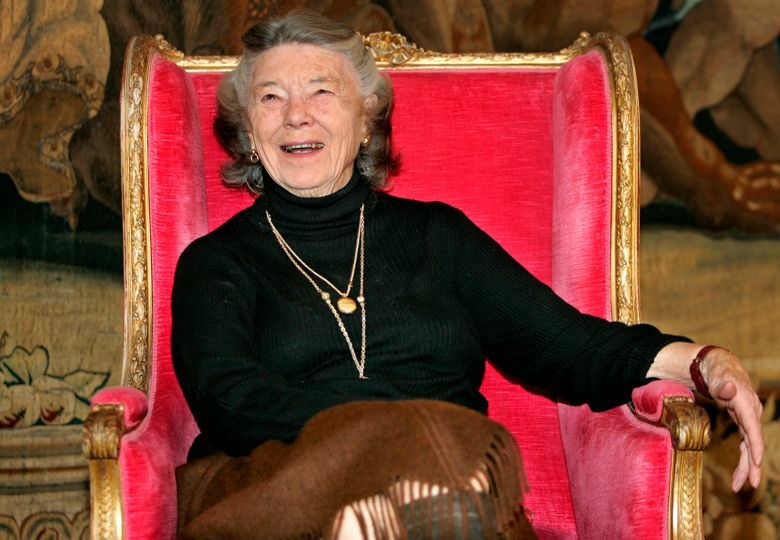 Rosamunde Pilcher, 94, a British writer whose romance and generation-spanning novels like “The Shell Seekers” regularly made best-seller lists and were turned into television movies and miniseries, died Wednesdayin a hospital in Dundee, Scotland, after a short illness. Pilcher had been writing short stories and novels for years, first under a pen name and then under her own, when “The Shell Seekers,” published in 1987, elevated her to a new level of sales and fame. Her last book, “Winter Solstice,” was published in 2000. 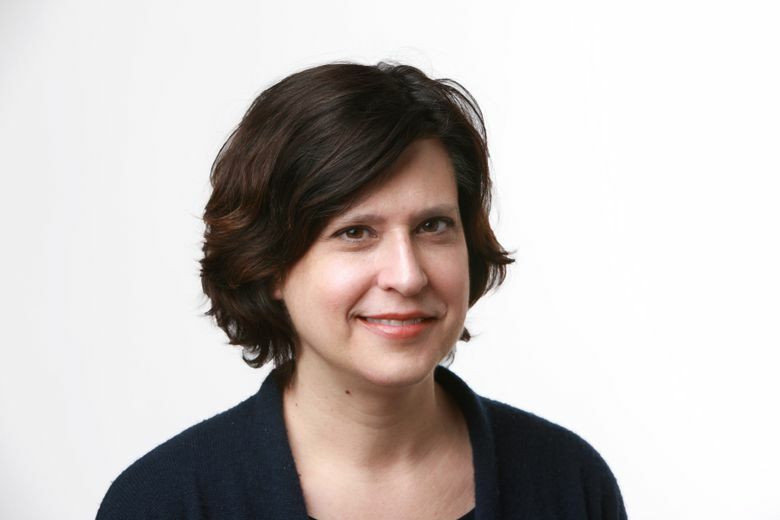 Christine Kay, 54, a senior editor at The New York Times who had a strong hand in shaping prizewinning articles and investigative projects and who helped conceive “Portraits of Grief,” a celebrated series of remembrances about the victims of the terrorist attacks of Sept. 11, 2001, died of metastatic breast cancer Tuesdayat home in Manhattan. Izzy Young, 90, whose Greenwich Village shop, the Folklore Center, was the beating heart of the midcentury folk-music revival — and who in 1961 presented the first New York concert by a young Bob Dylan — died Mondayat his home in Stockholm. Kristoff St. John, 52, who played the struggling alcoholic and ladies’ man Neil Winters for 27 years on “The Young and the Restless,” has died. Los Angeles police were called to his home last Sundayand his body was turned over to the coroner. The cause of death was not disclosed. Julie Adams, 92, a film and television actress for more than six decades who is widely remembered as the terrorized swimmer in the 1954 cult classic “Creature From the Black Lagoon,” died last Sundayin Los Angeles. In recent years, as her career faded, she found herself with a new lease on entertainment life, in demand by monster movie fans seeking autographs, memorabilia and stories of her black lagoon adventure. Ron Joyce, 88, a high-school dropout and former police officer who helped make the Tim Hortons fast-food stores a ubiquitous part of Canada’s landscape, died Jan. 31 at home in Burlington, Ontario. Tim Hortons, which started as a doughnut-and-coffee shop but expanded into other fare, dominates Canada’s fast-food business to an extraordinary degree. There is one Timmies, as the shops are popularly known, for every 9,800 Canadians. By contrast, McDonald’s restaurants in the United States number one per 23,100 people. Dr. Doris L. Wethers, 91, who broke racial barriers in the medical world before gaining renown for research and advocacy that helped lead to mandatory testing of all newborns for sickle-cell anemia, died Jan. 28 in Yonkers, New York, from complications of a stroke. She was the third black woman to graduate, in 1952, from the Yale School of Medicine and went on to become, in 1965, the first black chief of a medical department at a New York City private nonprofit hospital when she was named director of pediatrics at Knickerbocker Hospital in West Harlem. Rosemary Mariner, 65, who shattered barriers when she became one of the Navy’s first female pilots and the first woman to command a naval aviation squadron — and who later fought for a congressional measure that lifted a ban on women serving in combat — died of ovarian cancer Jan. 24 in Knoxville, Tennessee. When she joined the Navy in 1973, she was a licensed pilot and a graduate of Purdue University, where she had been the first woman to enroll in a newly created aeronautics program. After graduating from officer-candidate school, she was chosen for the Navy’s first flight-training class for women; she was among six of its graduates to earn wings in 1974. The next year, she became the first female aviator in the Navy to fly a jet attack craft, a single-seat Skyhawk.